If you’re looking to colour new or bright brass, copper, bronze or mild steel, look no further than here at Restoration Materials. We have a range of solutions to give you that antique look designed to aid your restoration projects, and can be used on many types of metal. Our excellent cold patination treatments are perfectly suited for a range of purposes. 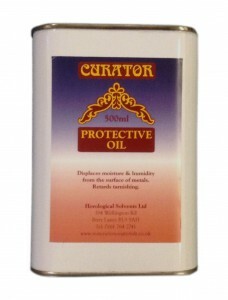 We particularly recommend our excellent Curator Antiquing Fluid, a replacement for Liberon’s Tourmaline. Capable of aging brass, copper and bronze in minutes, our antiquing fluid is available in brown, black, bronze and old english brass, and is ideally suited for antique restoration and used widely in the lighting and metal fabrication industry. The black also works on mild steel as well as brass, copper and bronze. Other patination treatments we offer include a rusting solution, and Verdigris. 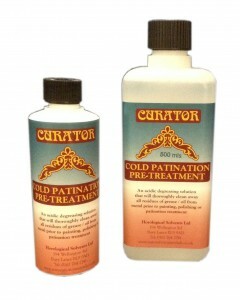 Use our Curator Pre-treatment as a degreasing agent to thoroughly clean your item prior to antique patination, then if desired apply a coat of our protective oil or a wax polish to your metal for the final finish. If there are any antiquing materials you would like that you can’t find here, please don’t hesitate to get in touch with us. Our own equivalent to Liberon's Tourmaline which has now been discontinued. 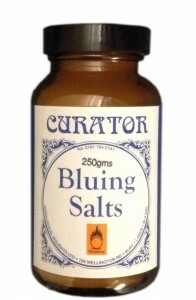 Curator Antiquing Fluid works in exactly the same way as Tourmaline giving excellent results. A cold patination treatment used to age brass, copper and bronze in minutes, and to provide an antique like finish. Available in brown, black, bronze and recently added to the range Old English Brass. (Black is also suitable for use on steel). Colouration level can be controlled by dilution. Ideal for use in antique restoration, metal fabrication and lighting. 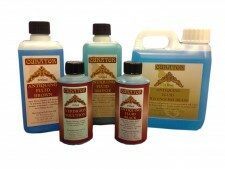 Our Cold Patination Pre-Treatment solution can be used prior to antiquing, to remove any residues of grease / oil. A cold process solution, used to give an even grey / black colour on lead, lead based components, silver, tin and lead free pewter or on parts electroplated with these metals. Used mainly in the decorative glass industry. Used for bluing steel clock hands. Supplied in crystal form, which is heated to make a liquid. This liquid keeps the temperature of the hands even so that filigree hands blue evenly. Jade Oil - This Liberon product has now been discontinued and is no longer available. The great news is we have our own equivalent to Jade Oil called Protective Oil, which you will find on our site here in the Antiquing Section as well as the Oil Finishes section. Used in exactly the same way as Jade Oil, Protective Oil displaces any residual moisture and humidity from metal surfaces before waxing, oiling and painting. Leaves a thin invisible film on the surface which helps prevent further tarnishing. Used also to fix Curator Antiquing fluid. Curator Cold Patination Pre-Treatment is an acidic degreasing solution that will clean away residues of grease or oil film on the surface of all ferrous and non-ferrous metals, leaving the surface totally clean prior to patination with Curator Antiquing Fluids. Can also be used as a degreasing solution prior to painting or polishing. Our equivalent to Liberon Jade Oil which has now been discontinued and is no longer available. Protective Oil displaces moisture and humidity from the surface of metals. 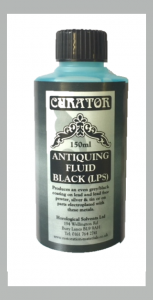 It is ideal to 'dry' metals and acts as a fixative after using Curator Antiquing Fluid. Will also help retard tarnishing after polishing, by depositing a thin invisible film on the surface of the metal. Can be used before waxing or oiling. Want to create a rust effect quickly ? Our Rusting Solution is a ready made cold liquid treatment used to speed up the rusting process on iron and steel. 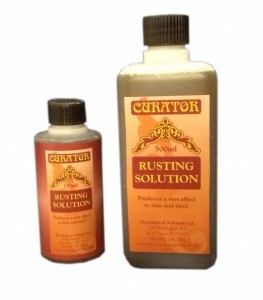 Use Rusting Solution to impart a red oxide rust on small or large items. Striking effects can be achieved. For example - on ferrous achitectural pieces such as cast iron garden furniture or mild steel lamps. 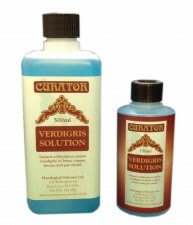 Curator Verdigris Solution is a cold patination treatment which imparts a blue / green patina (verdigris) to brass, copper, bronze and gun metal. This replicates the patina which occurs naturally to these metals due to atmospheric reaction.